Writing Magazine is essential reading for any aspiring or published writer, subscribe and discover how we can help you develop your unique writing style. Every month, our knowledgeable, expert writers provide pages of practical how-to advice, hints and tips, author features, information on what editors and publishers are looking for, writing competitions, and inspirational ideas - everything you could need to make the most of your writing potential. 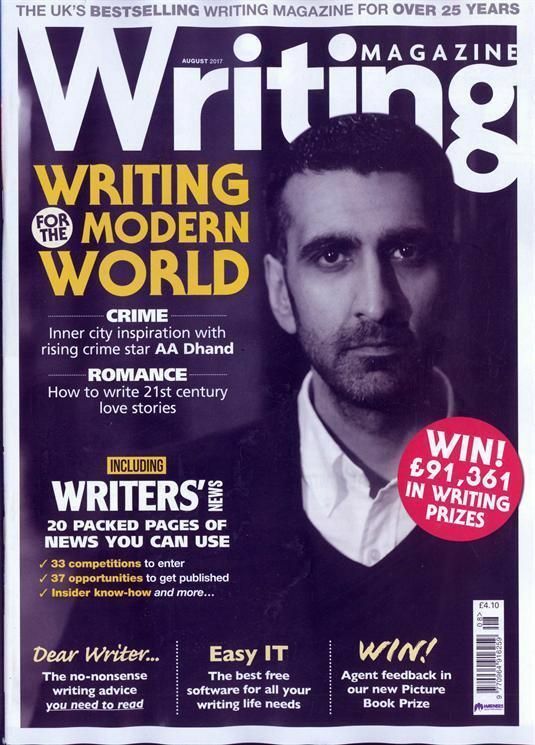 Writing Magazine now also features our sister publication Writers News, the perfect resource for writers looking to sell their work. Every month Writers' News features articles on magazine and book publishers looking for manuscripts, competition announcements and news from the publishing world. That is 112 pages of essential writing information and inspiration in one monthly magazine!